Today, I’m pleased to interview Inked Voices member and author Margaret Greanias. Her debut picture book Maximillian Villainous, released at the end of August with Running Press Kids. Margaret talks about her inspiration for the book, its path to publication, and what she’s learned along the way. Welcome, Margaret! 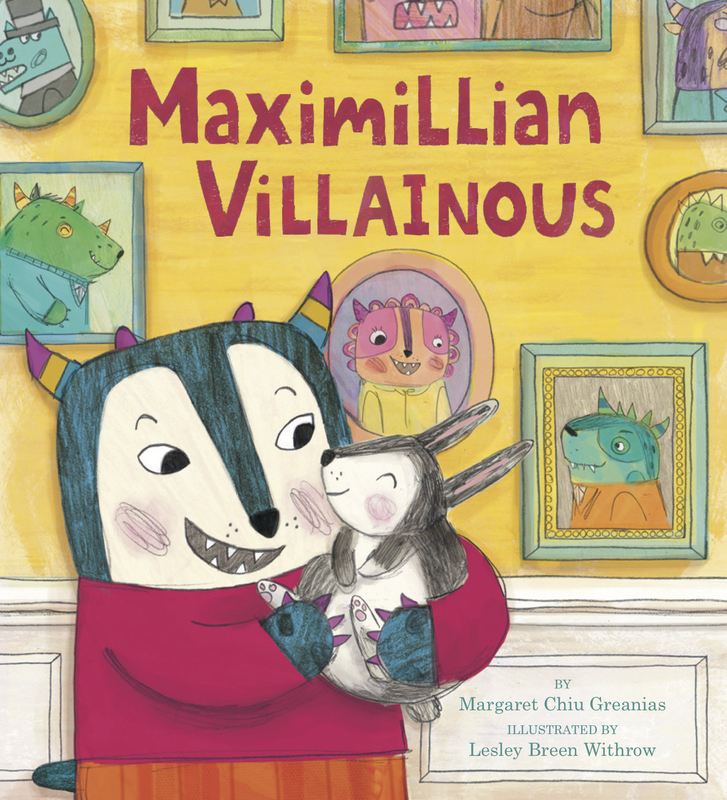 Brooke McIntyre: Congratulations on your debut picture book Maximillian Villainous! What is the story about? Margaret Greanias: Thank you! Maximillian Villainous is about a tender-hearted young monster who, to the dismay of his famous villainous family, wants a bunny for his sidekick. Brooke: When did you start working on the story? Where did the story idea come from and how did you know it was an idea you wanted to pursue? Margaret: I came up with the idea in 2013, when my two older kids fell in love with the movie Despicable Me. This was the first movie that they requested to watch over and over again. The characters were so fun that I didn’t mind. Like many picture book writers, I’m always searching for book ideas, and I thought a super-villain character could be fun. At the time, I didn’t find many picture books with villain main characters. Of course, between the time I came up with the idea and when the book was published, two had come out (K.G. Campbell’s Dylan the Villain and Hannah Barnaby’s Bad Guy). Luckily, Maximillian Villainous had a different spin on villains. Brooke: We’d love to hear about your journey from draft to publication. What parts did you enjoy most? What parts were most difficult? What are some of your takeaways? From coming up with the concept to becoming a book took over five years. I spent two years writing the story (upwards of thirty drafts including two complete re-writes). Once it was polished, I began sending it to agents. It took about four months to hook my (former) agent. I had also been querying other stories before this. We did a “trial” period of two months before he signed me. During this time, we explored sequel ideas for “Maximillian Villainous.” We also selected an illustrator, the amazing Lesley Breen Withrow, who we felt would be able to create the best complement to the manuscript. Generally, picture book writers do not submit their manuscripts with illustrations, but my agent felt that since I was a debut, we had a better chance of selling the story if it was illustrated. It took another six months before the manuscript went on submission, and then, three months after, we had an offer from Running Press Kids. The most satisfying parts of the journey included making breakthroughs on the project, like coming up with perfect lines of dialogue for each of Max’s family members and figuring out the surprise twist resolution to the story. Other “ups” included signing with an agent, getting the offer from Running Press, seeing the amazing full-color illustrations that Lesley Breen Withrow did, and finally holding the actual book in my hands. The most difficult parts, hands down, were the rejections. I think one of the hardest parts of publishing is that taste is so subjective. There’s no right or wrong answer like in math or science. Write the story you love because trying to adjust it to appeal to everyone is impossible. Be open to feedback from trusted sources. But only take the feedback that resonates with your vision. If you’re unsure, save a copy of your most recent draft then try implementing the feedback. You can always go back to the original if it doesn’t work. Often, even if it doesn’t work, you learn something about your character or your story in the process. Brooke: What are your favorite aspects of picture book writing? How did you land in this genre? Are you interested in other children’s genres? 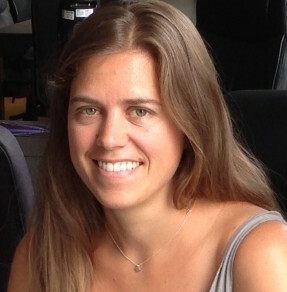 Margaret: The kid in me loves creating fun and fantastical scenarios that make me laugh. The adult in me loves playing with words—alliteration, assonance, rhyme, puns, etc. And, the side benefit of writing picture books is staying up-to-date in my genre. There are always piles of picture books around my house. I raid the new releases shelves at the library every week, and I love to read them aloud to my 4-year old and note what grabs her. I chose to write picture books mostly because I had three sources of constant inspiration who reminded me what it’s like to be a kid and the challenges they face. In the beginning, I also thought writing a story with so few words would be manageable as a stay-at-home mom with two (now three) young children. However, I’ve come to discover that writing a full story in 500 words or less is quite a challenge! I love writing picture books, and I hope to publish more. As my children grow up and remind me of what it’s like to be a tween and eventually a high schooler, I plan to eventually write at least middle grade and maybe young adult novels as well. 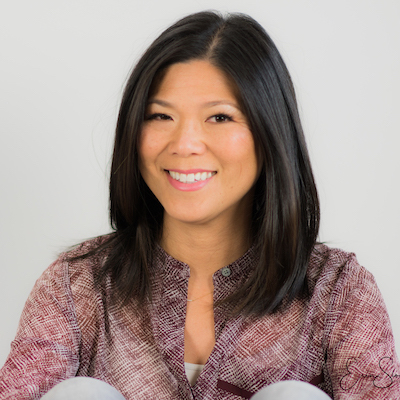 Brooke: What is your writing process? How do you balance work and writing? Margaret: Every story is different. Sometimes, I start with a title. Other times, I start with a character. And still other times, I start with a problem or a theme. Usually what happens next is I brainstorm to fill in missing elements—like the character, problem, resolution, climax, low point, emotional arc, etc. I try and mull things over while doing mindless things like brushing my teeth, washing the dishes, or running. Once I have enough of the story, then I will sit down and write a draft. The best is if I can write snippets here and there and then weave them together into a draft. But often, I end up slogging through because I know once I get that ugly first draft down, I’ll at least have something to revise. Brooke: I noticed that you have a lovely author website. Who is your target audience for your site? Do you have any favorite tips or resources to share with others planning their author sites? Margaret: Thank you! I haven’t had focused time to build out the website as much as I’d like. But currently, my target is anyone who wants to find out more about me or about Maximillian Villainous. I have free Maximillian Villainous resources for educators and librarians including a discussion and activity guide as well as a couple of crafts. They can all be downloaded from the “Books” page of my website. I also have a media kit available. Brooke: Where can we find you online? Margaret: You can find me on on Facebook, Twitter, Instagram, and at my author site. Brooke: You can find Margaret’s book Maximillian Villainous online at Book Depository, Barnes & Noble, or Amazon. Or find it in your local bookstore using Indiebound. Thanks for being with us today, Margaret!